It is the country's fourth largest private employer - after Tata Consultancy Services, Reliance Industries and Cognizant - with 241,000 people on its rolls. In just about a decade, it operates in nine countries and has a market cap of more than Rs 15,000 crore, which has ballooned so rapidly that an investment of Rs 245 in the company in 2013 would now be worth Rs 8,500. It had revenues of Rs 4,157 crore in 2016/17, growing at a compound annual growth rate (CAGR) of 45 per cent in the last five years, while net profit has risen even faster at a CAGR of 69 per cent. And yet this is a company most people are unlikely to have even heard of. Its name is Quess Corp and it is India's largest staffing company, housed in an unprepossessing, three storey, grey coloured building in east Bangalore's IT corridor. It provides personnel to a host of industries, from the courier boys who deliver packages for e-tailing companies to the shopping assistants who offer guidance at large retail stores to top level pharma or metallurgical scientists working in the R&D divisions of leading companies in these sectors. It processes 3,000 job applications a day at its 108 recruiting centres across the country, eventually hiring more than 5,000 every month. And as the response to its June 2016 initial public offering (IPO) showed, in an economy where more and more companies are outsourcing all but their core functions, Quess's jack-of-all-trades role is bringing it major dividends. A human resources role is hardly a solid foundation for becoming a self-made multimillionaire. Yet Quess's current Chairman, CEO and Managing Director, Ajit Issac (49) - who owns a quarter of its shares - has managed just that. 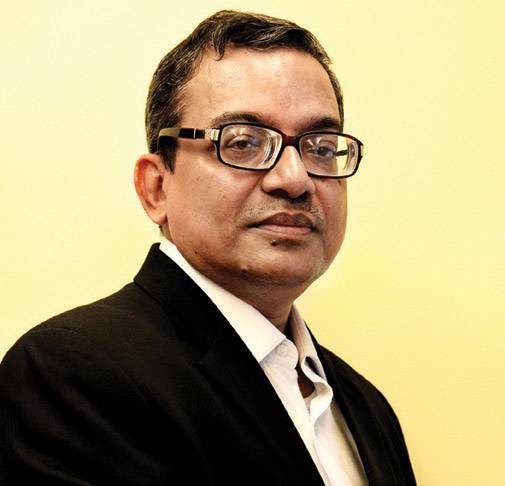 Starting as an HR executive with Godrej & Boyce in 1991, moving on to the Essar group and then IDFC in various HR positions, Issac made his first entrepreneurial move in 1998 starting an online jobs portal Go4careers.com, with funding from JP Morgan. Having seen entrepreneurs up close during his stint at IDFC, he had caught the entrepreneurial bug himself. When the dotcom bubble burst in 2000, Go4careers.com burst with it, but Issac did not give up. Instead he took the same model offline, setting up an HR company, Peopleone Consulting, which provided people for short-term roles, mostly in the multinational companies then just setting up shop in India. Despite his online setback, JP Morgan backed him again, and when Peopleone was finally acquired by Swiss HR major Adecco in 2004, it exited with a five-fold return on its investment. In his next venture, started as soon as the non-compete period under his deal with Adecco ended, Issac remained true to his area of expertise. He set up IKYA Global - which has since been subsumed under the Quess brand - in 2007, with the Rs 160 crore he received as his share while selling Peopleone to Adecco. The name, taken from the Sanskrit 'Aikya' meaning 'oneness' or 'integration', sparked a legal battle with the global furniture brand IKEA, but Issac won the case. IKYA - which still runs the people and services vertical of Quess - remains the company's mainstay with 212,000 employees and contributing 54 per cent to its revenue. "We have 65 offices across 33 Indian cities from Kashmir to Kerala and Guwahati to Gandhinagar," says Lohit Bhatia, CEO, IKYA. The company supplies staffing to a host of household names in different capacities - HUL, Marico, Samsung, LG, Daikin, Vodafone, Google and more - embracing sectors from retail to telecom to footwear to garments and beyond. The ticket issuer at a metro station, the salesman selling Hush Puppies footwear, the HUL distributor visiting neighbourhood convenience stores, many of the men and women painstakingly identifying and uploading names of roads and locations on Google maps covering India could well all be employees of IKYA. "Any Quess business that does not involve IT or facilities management is handled by IKYA," adds Bhatia. Roping in so many high profile clients calls for establishing a wide network of close contacts - a skill Issac excels at. He believes in the power of relationships, even with those who do not bring any immediate business benefits. "He first met me when he was still running Peopleone and did a pitch for me as a service provider," says Marcel Parker, an HR industry veteran who was then President, HR, at Raymond. "We never did any business together. Yet years later he asked me to join Quess as a mentor. It is this ability of Issac to invest in relationships that has enabled Quess to grow." The remaining divisions provide solutions other than staffing. To take just one example, Quess, apart from supplying manpower, has invested in Sterlite's copper smelting plant in Tuticorin, Tamil Nadu. "We've put in Rs 32 crore in material handling equipment alone," says Satyakam Basu, CEO of the industrials division of Quess. But the staffing business, which provides more than half of Quess's revenue, is a tough one, full of people related problems which can arise anytime. "It is a brutally hard business with margins in low single digits and a plethora of large and small competitors," says an analyst with a brokerage who prefers not to be identified. Issac, however, is unfazed. "We're in a range of businesses where margins vary enormously," he says. "Competition has always been there and we welcome it. But we have scale, and an understanding of what it requires to succeed in various segments." Quess has displayed a ravenous appetite for acquisitions, virtually right from its start, picking up 100 per cent stake in eight companies, majority stake in another six while investing heavily in three more. "Acquisitions at the right price have been the key to our success," says Isaac. Analysts seem to agree. A report by Motilal Oswal, for instance, notes that one of Quess's recent acquisition - 51 per cent stake in Tata Business Support Services (TBSS) in November 2017 for Rs 153 crore - is a bargain, considering TBSS has a revenue run rate of Rs 660 crore for 2017/18, and an operating profit of Rs 55 crore. The brokerage house analyst compares Quess's TBSS acquisition with its biggest rival in manpower services, TeamLease. "TeamLease had an operating profit of Rs 61.31 crore in 2016/17 against a market cap of Rs 3,300 crore," he says. "Quess has acquired a business with profits in the same range at a tenth of the price." Still senior Quess officials insist that acquisitions are only a part of the company's growth strategy. "Acquisitions are important but core growth will continue to come from organic expansion," says Subrata Nag, Chief Financial Officer, Quess. Amitabh Jaipuria, heading the people and services division, agrees. "Tuck-in acquisitions will continue, but we will never bet on acquisitions," he says. Nag adds that Quess is careful never to disturb the equilibrium in acquired companies. "We will never make a hostile acquisition," he says. "In every case, the team which ran the show before acquisition has continued to do so after we took over." Some analysts also see a pitfall in Quess's decision to work closely with state governments. It has provided staffing for projects like the Ahmedabad Smart City. "Our exposure to that segment is very low in single digits," says Issac. "We are selective about the smart city projects we take on. We cannot ignore a $15 billion opportunity." Quess has embraced digitisation, thereby reducing costs. "New employees can download our app and submit relevant documents using a smartphone," says Guruprasad Srinivasan, head of shared services, Quess. "Imagine the savings, considering the number of new employees we take on every month. No human beings are required to do the on-boarding." Investors are gung-ho about Quess and IKYA, too. 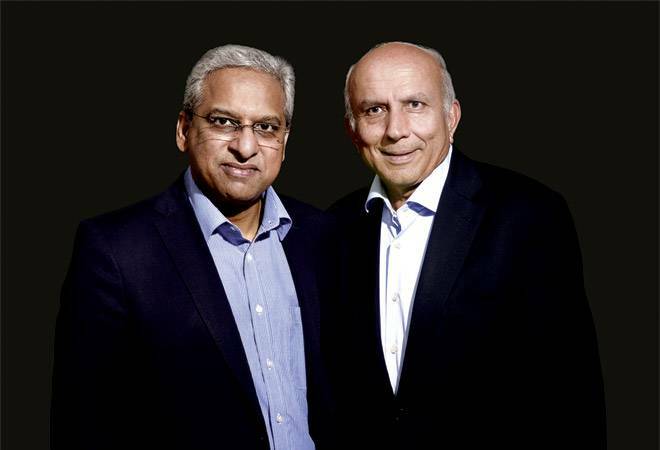 Thomas Cook India Ltd (TCIL) (a company owned by Canadian billionaire Prem Watsa and completely distinct from the UK's Thomas Cook) invested Rs 245 crore in Quess for a 74 per cent share in 2013. Its value has since zoomed to Rs 11,000 crore. Says Watsa: "Quess has seized opportunities and executed them very well." If further proof was needed, the response to Quess's IPO provided it. It was oversubscribed 147 times, and the scrip, issued at Rs 317, currently trades at Rs 1,050. "The funds raised have been used for more acquisitions to complete our service bouquet as well as for further digitisation," says Isaac. He estimates that by 2020, Quess will have a headcount of 450,000 to become perhaps India's largest private employer. But it has to be seen if Quess can sustain such growth even as it emphasises margin accretion.